Dog Jealousy: Dog toy study shows dogs possessive of owner’s attention. These jealous dogs inspired a study. Inspiration struck psychologist Christine Harris when she was visiting her parents and their three border collie puppies. “I was petting two of them, and the third would take his head and push the others away,” she says. At the time, Harris was studying sexual and romantic jealousy in humans, which led her to wonder: do dogs show jealousy? So, Harris and undergraduate Caroline Provoust decided to look into the question. They visited the homes of 36 dogs and videotaped them in three scenarios. (This procedure was adapted from a study of jealousy in 6-month-old infants.) In one scenario, dogs watched as their beloved human lathered affection upon a toy dog that barked and wagged its tail. Owners were asked to pet and coo at the toy as if it were real. In another scenario, the owner directed the same affection toward a jack-o-lantern pail (like the ones you fill with candy on Halloween). In the third scenario, the owner read from a musical pop-up book. “We weren’t sure what we were getting into,” says Harris. “We didn’t know if they would believe the interactions, or if they would they go ballistic.” Since there was a chance the study would rile up the dogs, they recruited small dogs whose owners reported they were rarely aggressive. Jealousy is often presumed to be a uniquely human emotion because it involves a sophisticated web of beliefs. The classic example of jealousy toward a significant other’s attractive new friend actually requires a lot of thought: You have to consider your relationship and your partner’s relationship with the new friend, and then assess what their friendship could mean for you. Dogs may be showing jealous behaviors in Harris and Provoust’s study, but are they really capable of all that analysis? “I don’t think dogs are necessarily doing that,” says Harris. In their paper, Harris and Provoust suggest that there could be a “primordial” version of jealousy that kicks in when you see a loved one giving attention to anything but you, leading you to take action by getting between your loved one and the possible usurper. Though the majority of dogs showed some form of jealous behavior, not all did. In future studies, Harris hopes to find out what’s different about those dogs. It could be that those were the not-so-smart dogs who didn’t realize the fake dog was swooping in to steal their human’s attention. Or perhaps the dogs who didn’t react were actually the most clever, because they realized the fake dog wasn’t real competition. 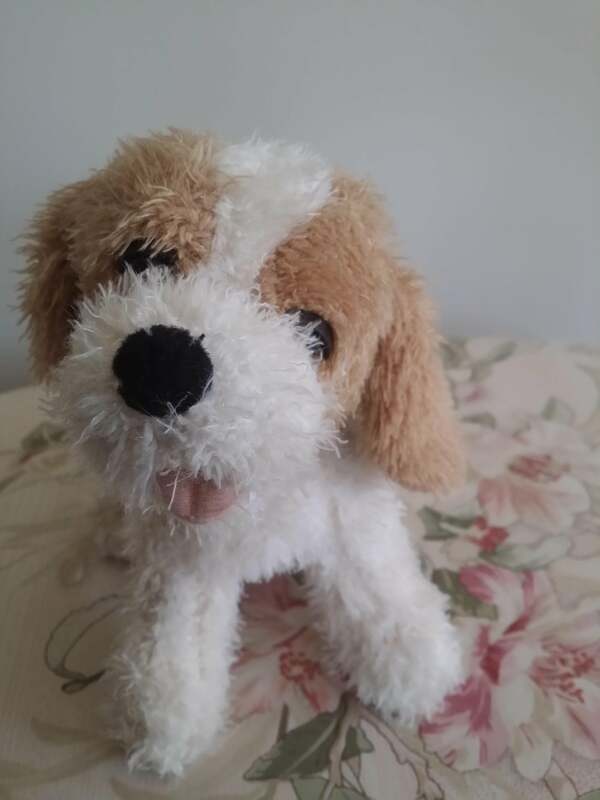 (The paper reports that 86 percent of the dogs sniffed the fake dog’s rear end during the study, which suggests that they suspected the stuffed dog was real.) Strength of the dog-owner bond could also be a factor; dogs who didn’t react may have just cared less about the interloper. As much as we would love to know what dogs are thinking or feeling, this study can’t tell us that. From a scientific perspective, all we know is that they often engage in behaviors that we humans associate with jealousy. But, dog owners, if it makes you feel any better go ahead and believe this: Fido definitely loves you very, very much.